Yesterday Mass in Oxford England and met fellow Ignatius Press author Fr. John Saward at his parish – St. Gregory and St. Augustine. 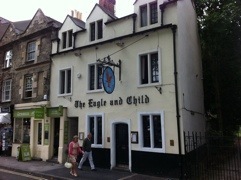 Today I ran through the Oxford England of C. S. Lewis and J.R.R. Tolkien. Janet and I visited Oxford over 25 years ago as Protestants. Wonderful to visit again as Catholics. 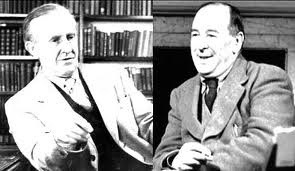 CS Lewis played an impotent part in my Christian life and also in my conversion to the Catholic faith. 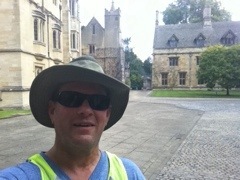 Below: Me at Magdalen College where C. S. Lewis taught; the pub where the Inklings met; Tolkien and Lewis.